Considering that the bathroom is one of the most important areas in your home, and a place where you spend time grooming and taking care of yourself, it’s essential that it has a structured and organised look. If you have a smaller bathroom, you need to find a perfect layout and find a right balance when incorporating different bathroom elements. 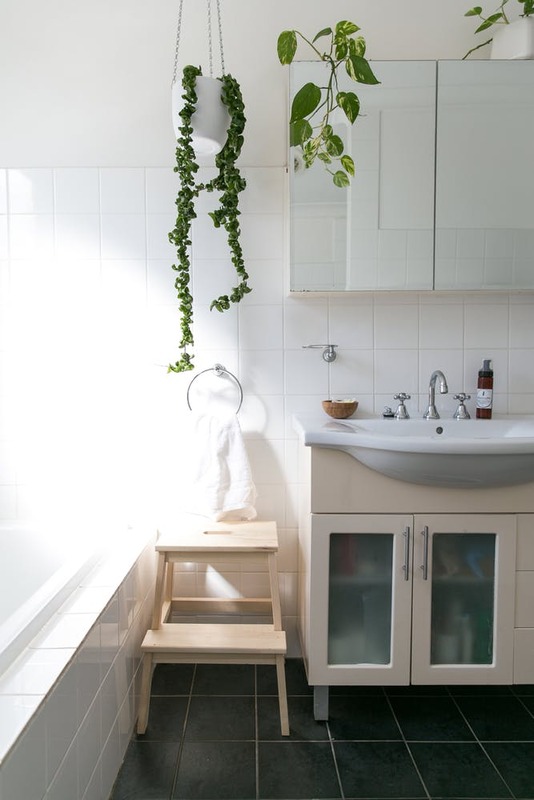 You can easily design a functional and organised bathroom while also giving it an fresh and inviting look by implementing just a few simple changes. Simplicity and minimalism are always a perfect choice, especially when it comes to small spaces. You should go with a simple colour scheme that will open up your bathroom and create an illusion of spaciousness. However, if you want a more extravagant look, you can break the monotony of monochromaticity by livening up your bathroom with an enticing painting. Another great solution is painting one wall in a conspicuous hue and creating a stunning statement or introducing an intricately designed shower curtain to add a pop of colour. As the focal point of any bathroom, the bathtub should be the first element you notice when you enter your home spa. A beautifully designed bathtub will create a sophisticated and elegant ambience. Bathtubs with unique designs will capture the attention of everyone with an eye for aesthetics, and it will help you create a spa-like atmosphere where you can simply unwind. Cleaning products are an essential element that will help you maintain your bathroom and keep it spotless. You should gather all of them in one place, for example, in a bathroom cabinet. You should make sure to keep them under lock and key if you have children. In addition, you should consider switching to green cleaning products because they are toxin-free, which will protect your health and ensure the durability of your bathroom elements. By introducing plenty of storage, you’ll be able to control clutter and create an atmosphere of order and structure. A cabinet with sliding doors and several shelves is perfect for storing items, such as makeup, perfumes, towels, hair dryer and other essentials that you use frequently. This way, you’ll keep your essentials perfectly organised and easily accessible. You should use the walls of your bathroom smartly and efficiently, but make sure not to clutter them. For example, you can place hooks on your door where you can keep your towels. Add some green zen to your space with hanging plants or macrame. You can also use the wall space in your shower and add a hanging organiser for your shampoos, conditioners and soaps. Another practical solution is going vertically and placing several floating shelves on top of each other. You should get rid of all the unnecessary items from your counter space to eliminate clutter and avoid having an atmosphere of messiness and disarray. Instead, you can use this space for beautiful flowers or houseplants that will bring freshness and airiness into your bathroom, we love picking a few fragrant frangipani flowers and floating them in a bowl of water. In addition, plants and flowers will give your bathroom a spa-like character. You can also add several candles and you’ll transform your bathroom into an oasis of peace and relaxation. You should get rid of all of your plastic containers and use chic apothecary jars that will create an elegant ambiance in your bathroom. You can use them for storing cotton swabs, bath salts, soaps and other necessities. Not only will they keep everything within easy reach, but they will also help you design bathroom that exudes character. 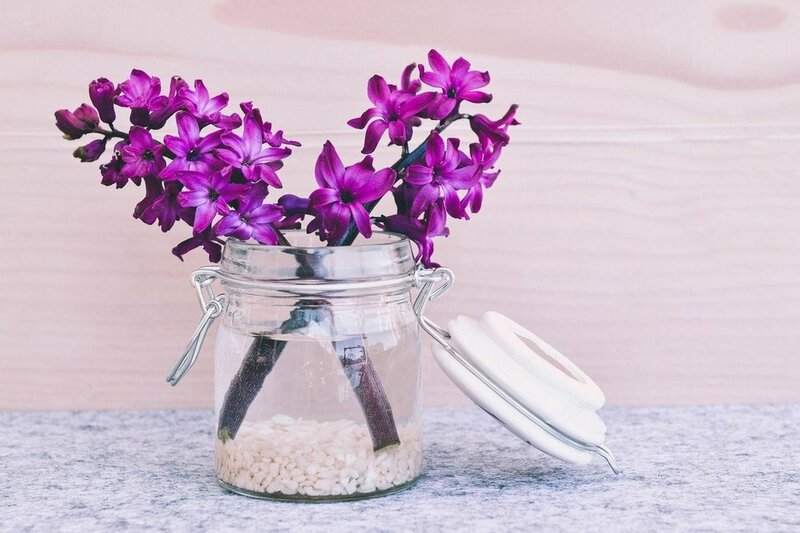 If you’re in a mood for DIY projects, you can even transform your old mason jars into stylish bathroom containers for your toothbrushes, make-up brushes, or you can just put some lovely flowers there. In just a few easy steps, you can transform your bathroom into a functional yet stylish home spa that exudes serenity and tranquillity. Chloe is an art historian and recreational ballet dancer. She is passionate about photography, dance and music. Her biggest dream is to travel the whole world with her husband and take stunning photographs of beautiful places. She also enjoys learning and writing about home design, since she is crazy about aesthetics.